Cadillac president Johan de Nysschen debunked rumors about the luxury CT6 sedan being on the chopping block earlier, and said the company is actually reconfiguring its sedan lineup. But it’s the crossovers that are taking over the car market, and de Nysschen said Cadillac has plans for that. De Nysschen admitted that Cadillac is a “very sedan-rich brand” that’s light on crossovers and SUVs, and he’s right: Cadillac currently has one crossover, the XT5, and one SUV, the Escalade. Not shockingly, Cadillac sold five times more XT5 crossovers than most of its other models in June. What the car industry in general is experiencing, de Nysschen told Jalopnik, is a “massive contraction of the sedan segment.” Cadillac’s feeling it, too. 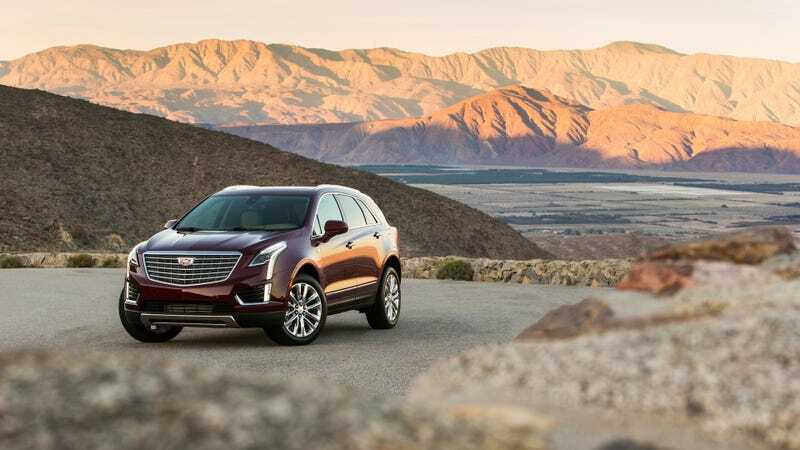 “When you have four of the six vehicles in your portfolio in the sedan segment, obviously, Cadillac doesn’t escape that impact,” de Nysschen said, adding that the crossover phenomenon reaches into the luxury-vehicle space as well. De Nysschen told Jalopnik that in future product planning, Cadillac is “taking steps to fill in the many white spaces” in its lineup. That includes crossovers, and de Nysschen said we can expect at least one new crossover soon—the XT4, which will be here by “the back end of next year.” De Nysschen declined to give timing on the other vehicles, just to keep us on our toes. Cadillac’s launch plans include a “whole range of crossovers” in addition to the XT5 and upcoming XT4, de Nysschen said. Like a lot of other automakers, the naming construction for the crossovers—the “XT” line—translates as such: The larger the numbers at the end of the vehicle names get, generally, the larger the vehicles themselves get. De Nysschen said the market two slots below the XT5 is also something Cadillac is looking at, given the Chinese and European markets’ demand for that size of car. De Nysschen doesn’t think the sedan market is going to disappear, even with the crossover boom getting so wild, but that Cadillac has to “rationalize” its number of offerings in every segment—sedans, crossovers and SUVs. “I also would say in the longer run, if you look 10 years out, we need to ask ourselves, ‘What does your future portfolio look like?’” de Nysschen said. “If there’s an ongoing contraction of sedans, then you ask yourself—is the [new direction for the] CT6 a sedan or is it a crossover or something in between?